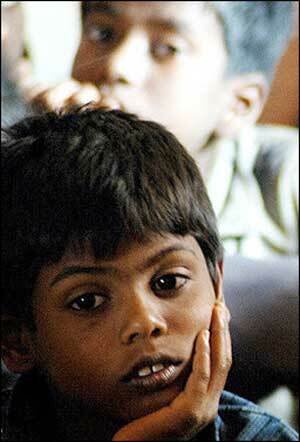 GALLE, Sri Lanka (AFP) - Thushari, 15, has good reason to be crying. 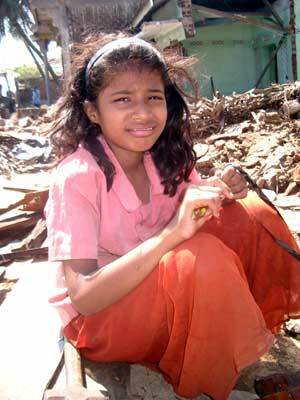 She saw both her parents swept to their deaths by the ferocious Indian Ocean tsunami, which also pulverised her family home and tore her from her siblings. At a Buddhist temple where she and scores of other homeless in Sri Lanka's southern city of Galle are sheltering, aid workers talk with her in the garden, seeking to find out whether any of her relatives have survived. 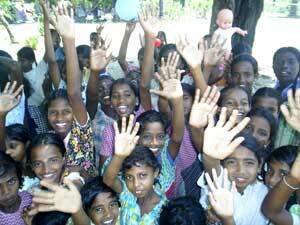 "This is probably the first day in Sri Lanka, in Asia, of a long lasting effort that will now be needed for Asia's tsunami generation," UNICEF spokesman Martin Dawes said here Tuesday. "This is ground zero of the social work program... It's one of the greatest dilemmas you could possibly imagine." "It will take some time for children to accept the fact that they have lost their parents," said Kanthi Pirera, one of Thushari's interviewers and program director of UNICEF-funded non-government organisation Life Foundation. "If they haven't actually seen them swept away, they will live in the hope that they will come back." 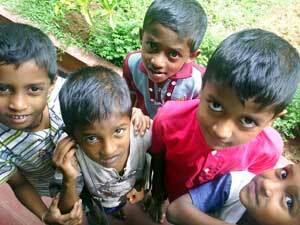 The denial and scale of the carnage and destruction -- more than 30,000 Sri Lankans were killed and nearly a million left homeless -- mean it is too early to estimate the number of children orphaned. Counselling is crucial but Sri Lanka's extraordinarily strained health system cannot provide what is needed, meaning the psychological effect on the tsunami generation will be long-lasting. "We don't have enough qualified counsellors. The limited number we have are doing the best that they can," Pirera said. More than 40 government workers have started zipping around to the camps in Sri Lanka's south, tracking down and registering orphans. Another 100 from the NCPA and other agencies are on their way. It's an uphill battle, with many camps springing up spontaneously or in remote areas. "People have to understand that we don't just have a truckload of kids and can say, 'These are yours'," Copland said. He refuses, however, to believe the elder sister will come, sparking a flurry of mobile phone calls and more wrenching scenes as the temple's chief monk steps in to mediate.